It was a really great day! It was good to be reminded and get pumped up for the college application deadlines. I am now more prepared to answer the different questions they ask you. The Student Ambassadors were very helpful. They asked me questions about things on the application I didn't even know about. This experience has made me more motivated and excited to go to college. I learned new and helpful things to take back to my guidance counselor. I loved meeting the Student Ambassadors! While they don't have Culinary Arts Department, the Ambassadors and tour guides opened me up to the possibility of a Business Major. I met lots of different people who are pursuing different degrees. It convinced me that college was great for not only learning but could be fun. for what college was really all about. The Ambassadors were amazing! They looked like they loved college and were having fun but also accomplishing many things at the same time. This experience inspired me to do my best in my college application process. It was such a wonderful experience. I enjoyed looking around the campus to see so many different things. I really felt welcomed here. The Student Ambassadors and even the Admissions Officer all seemed like they really wanted me here and wanted to see me succeed. I think what really surprised me was the class sizes. Even though the campus is big, the class sizes were smaller and more manageable. I was really impressed by the technology too! The projectors were very cool. All this made me more interested in the college application process and made me want to do a little bit more research. interested in film and media, that was very cool to me. It would make for very interesting pictures. On the top floor, you could see the whole ocean. Advice I got was that while having a focus is good, college allows you to explore different horizons. This field trip has made me more excited and determined to go to college! The college field trip was an eye-opening experience! I got to explore the campus and saw firsthand how welcoming the University was. They give students many options to make attending the University possible. I loved talking to the Student Ambassadors about attending college for Pre-Med. They helped me understand the requirements that I would need to pass. They also shared about dorms and campus life. I was also able to take back information for my sister! She likes to paint but doesn't see a future in it and isn't (yet) interested in college. The Student Ambassadors recommended that I bring her to an open house. I could imagine both of us attending and having fun here. I'm really excited to apply! Thanks to Pamela Ray for cheering us on! Many Thanks to Not Your Average Joes For Hosting Us For A Special Dinner. When we walked in, it was amazing. The atmosphere is beautiful; the wait staff were very helpful. The food was excellent. The owner Steve Silverstein spoke to our youth about how he started out and the importance of hard work. He now has 30 restaurants! He encouraged youth to apply early to college-so they get in. 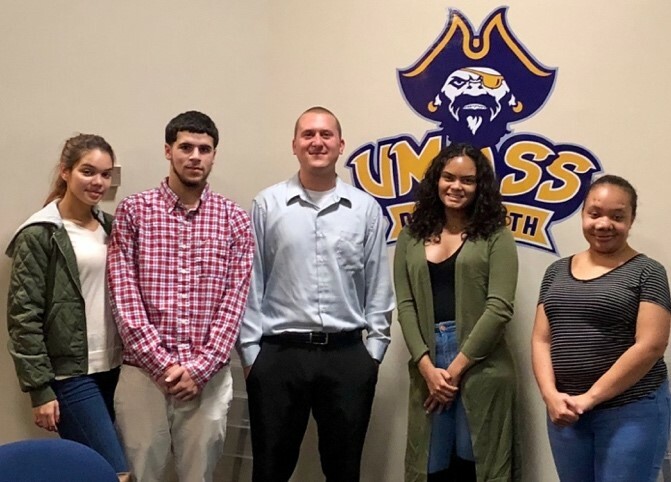 He invited youth back for lunch when they get accepted to UMass Dartmouth. We will be telling everyone about this restaurant. It's truly Not Your Average Joe's it's the best! 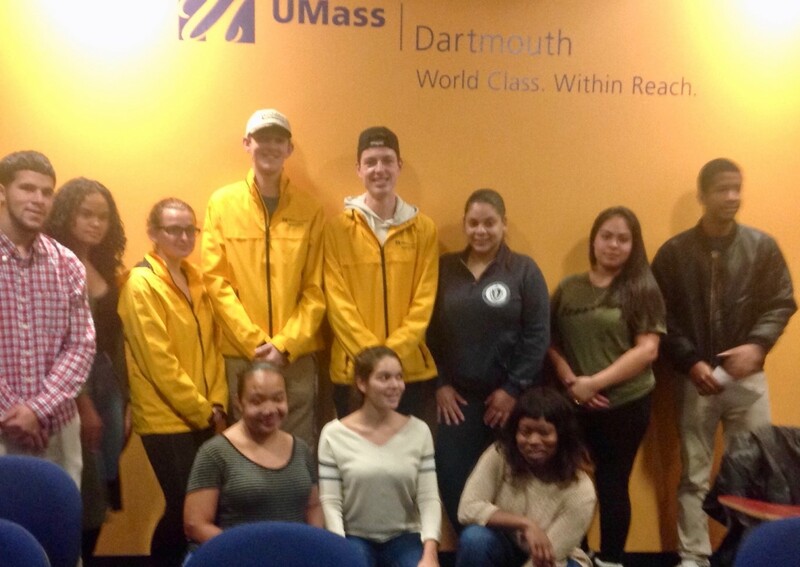 The Institute's College Field Trip to University of Massachusetts Dartmouth was a great success. It was great to be with the all the youth Sky, Jan Carlos, Johana, Felicity, Lya and Eltonya. Having spent the past month working with them in the College Prep Program, I was proud of how this trip inspired them. We started with a tour of the campus, then visiting dorms and the different hubs of student activity. The youth were particularly impressed by the level of dedication the University put towards its students. During this Orientation Session, I could really feel their awe and excitement at the thought of attending a college. They were focused, asked good questions, and even noticed the smallest details. We then had a chance to regroup during lunch. Our Student Guide, Gabriella Oliveira shared about her struggles and achievements in college. 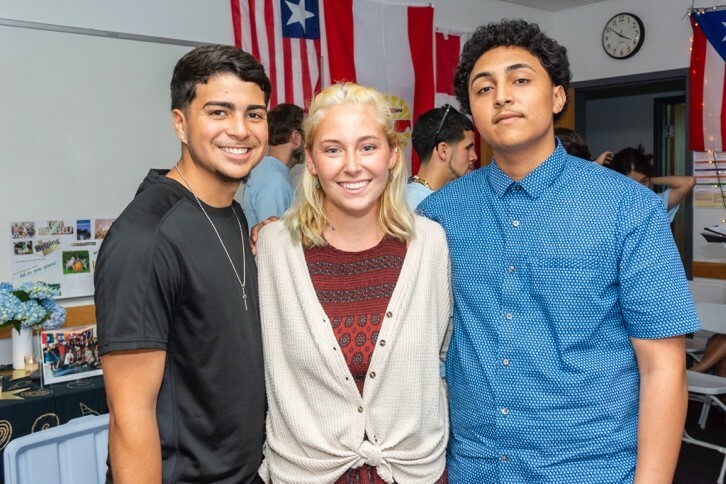 Born into a poor family in Puerto Rico, Gabriella made sure to relate to our Puerto Rican youth, offering them advice and telling them about the cultural diversity and sense of family on campus. Through her sharing, I could really see the youth begin to think about college seriously. The College Now/START Program Director Craig Elkins was very welcoming to our youth. The program provides extra special support for first generation students in academic counseling and tutoring. They help students get scholarships too. I saw many of our youth make note of this program, and later, tell us that they were impressed by how welcoming Craig and others were to them. We then met with the student ambassadors. Gabriella and the Admissions Office had matched each of our youth with a different Student Ambassador, based on their academic interests. This was the highlight of the entire trip. The youth went to different departments and had ample time to question the Ambassadors. Listening in on their conversation, I was impressed by the level of questions and issues our youth brought up. They were focused with a level of seriousness that gave me hope for their future. 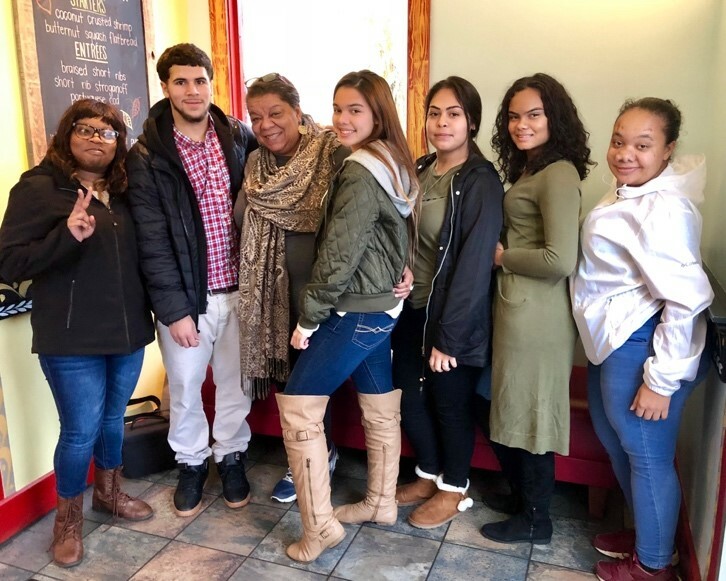 As a Project Coordinator working with these youth for the last few months, in the College Prep Program, I was pleasantly surprised by how efficient this College Field Trip was in motivating our youth. In the past, some had reservations about college. After attending this trip, they saw college in a different light. They took away a lot of good information and are making plans for how to apply and the checklists of things they need to do to accomplish their dreams. I'm looking forward to working with them to make it happen! diligently looks for job opportunities to nurture her dream and volunteer incentives to share her kindness with others. It's been awesome to hear how her voice has grown into one full of assertiveness and confidence. I am proud to see Johanna keeping true to her goal of graduating high school with good grades as she explores options for her future career. Her research and communication skills amaze me as she is comfortable searching for information on a wealth of topics. These will help contribute greatly to any community effort she participates in. 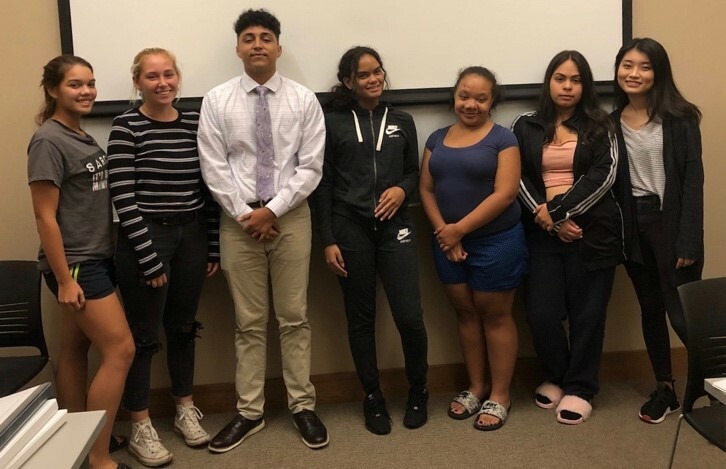 It so great to hear that Alexis successfully completed his summer job with Career Point and gained useful experience to contribute to his resume. Alexis is a tremendous writer and speaker with deep levels of respect and kindness for those that surround him. Sky is honing her communication skills. It has been marvelous to see her grow in her strength, wisdom and leadership. She is moving towards the career possibilities of Journalism, Law and/or Public Policy and keeping focused on graduating high school with excellence. I look forward to hearing about tips she can offer other teens on efficient SAT study! I am pleased to see the Institute's curriculum has contributed to the perseverance and laser focus of Felicity, Johanna, Sky and Alexis continues. These shining stars on the pathway to their dreams. It was great to support Alexis with his efforts to apply for a job in hospitality services. As a recent college graduate, I really understand the importance of developing this skill. These may seem like simple tasks to those of us who have sent thousands of emails in their jobs before, but to Alexis this was a new venture. 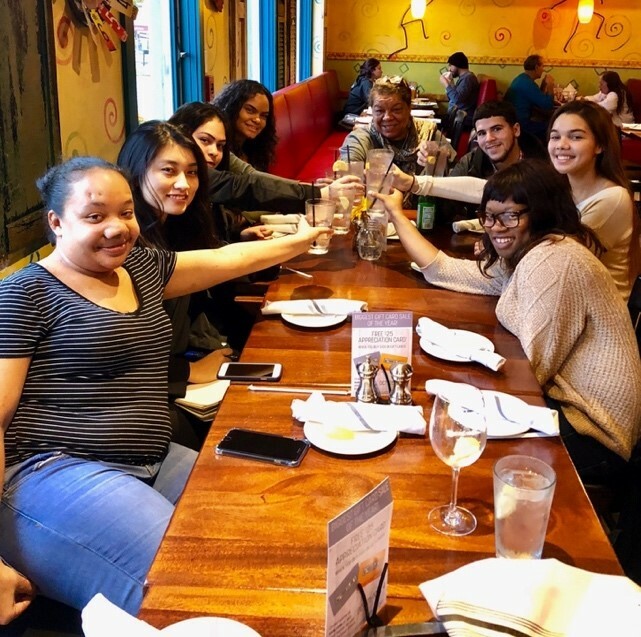 Being a recent high school graduate, Alexis needed guidance on 'etiquette' and structuring in the job field that we too learned from working with mentors of our own when we first entered the job market. We reviewed his cover letter and resume -- line by line to guide him to see how different grammatical structures and word choices can bring to life a simple one page cover letter. For his resume, we helped condense his experience into important keywords that allow for employers to understand quickly what type of work he has done before, and what type of worker he has become through his experiences. Lastly, we then helped him compose a few emails to both the hiring employee of this job opportunity, and to his mentor from the Hilton Hotel thanking him for the letter of recommendation. Alexis briefed us on his past week in Washington, DC. He attended a conference with his past mentor Nane, who is on the Institute's board and founder of Barrios Unidos, in Santa Cruz, California. The conference focused on youth empowerment, indigenous voices, and cultural preservation. Alexis was taken aback by the work that he saw others doing globally and the powerful way people spoke at the conference. He was also able to visit our nation's capital for the first time. He enjoyed seeing the monuments and was ecstatic to be in the center of our country's history. 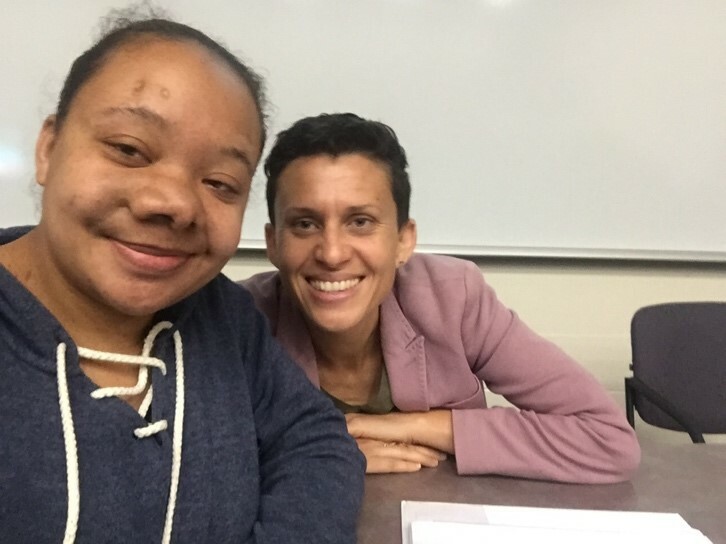 We worked through the steps on crafting professional emails, resumes and cover letters, while also being empowered by Alexis' excitement for history, cultural preservation and youth empowerment. Holyoke Public Library for our weekly meetings.